Philip N. Howard is a professor and writer. He has written numerous empirical research articles, and published in a number of disciplines, on the use of digital media for both civic engagement and social control in countries around the world. He is a statutory Professor of Internet Studies at the Oxford Internet Institute and a Senior Fellow at Balliol College at the University of Oxford. He has courtesy appointments as a professor at the University of Washington’s Department of Communication and as a Fellow at Columbia University’s Tow Center for Digital Journalism. He has held senior academic appointments at Stanford, Princeton, and Columbia Universities, and from 2013-15 he helped design and launch a new School of Public Policy at Central European University in Budapest. Recently he received a Consolidator Award from the European Research Council for his study of algorithms and public life. His projects on digital activism, information access, and modern governance in both democracies and authoritarian regimes have been supported by the National Science Foundation, US Institutes of Peace, and Intel’s People and Practices Group. He has published eight books and over 100 academic articles, book chapters, conference papers, and commentary essays on information technology, international affairs and public life. His research spans several disciplines, and he is among a small number of scholars who have won awards from all three major academic associations for his work in political science, sociology, and communication. 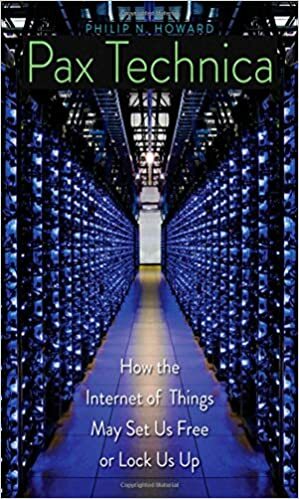 He is the author, most recently, of Pax Technica: How the Internet of Things May Set Us Free or Lock Us Up. Howard’s research and commentary writing has been featured in the New York Times, Washington Post, and many international media outlets. His B.A. is in political science from Innis College at the University of Toronto, his M.Sc. is in economics from the London School of Economics, and his Ph.D. is in sociology from Northwestern University. His website is philhoward.org, and he tweets from @pnhoward. Read a longer version of this professional biography.